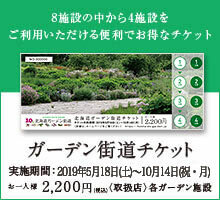 For questions and consultations on the Hokkaido Garden Highway please feel free to contact us from the form below. · Because it may take time to reply to e-mail depending on the content of inquiries, please understand. -◎RequiredPlease be sure to input items marked with. Would you like to inform us of news and other information by e-mail from this site in the future? ※ Please check the contents you entered. If there is no mistake please press send button. 1. We will use your personal information and other information you will use within the scope of the following purpose of use. · Please use it as a means of replying about contents of transmission from us. · When you agree to the above items, use it as a means to send guidance of new products etc. by e-mail from our company. 2. We do not disclose personal information and other information we will accept to third parties.